Sociology of Education, Education Policy,Large Scale Assessments, Social Stratification and Mobility, Quantitative Methodology. 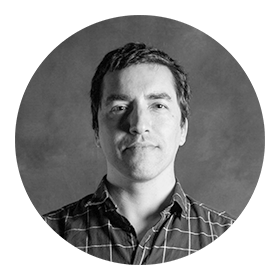 Francisco is PhD candidate at the Sociology department of the University of Amsterdam and affiliated with the Amsterdam Institute for Social Science Research (AISSR), Amsterdam Centre for Inequality Studies (AMCIS), and the programme group Institutions, Inequalities and Life courses (IIL). His PhD research focuses on the social processes that generates inequalities in individual educational outcomes, both academic performance and decision-making in access to educational opportunities over time, in Chile as country case. His research interests include the sociology of education, social stratification and mobility, labour market outcomes, educational inequality as well as quantitative methodology. He has extensive experience in empirical research and public policy, in both private and public organizations. He has worked previously as researcher and research coordinator at the National Assessment Office, Chilean Ministry of Education, and as researcher and consultor in private companies, in areas of public affairs and customer and employee relationships. He holds a master’s degree in social policy (research) from the London School of Economics and Political Science. For his academic work on his thesis in this programme he won the IEA Bruce H. Choppin Memorial Award 2014, conferred by the International Association for the Evaluation of Educational Achievement (IEA). He also holds a master degree in sociology from the Pontifical Catholic University of Chile.